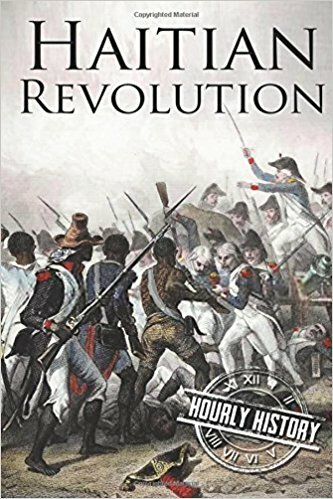 This is a short summary of the revolution that shook the world in the 19th Century, being the one at the then French colony Saint Domingue (Haiti). People are aware of defiant blacks like Rosa Parks or Martin Luther King Jr. but the first successful revolution by the blacks was possibly by the slaves of Haiti. The book starts with how the French established a colony in the island of Hispaniola which was earlier under the full control of Spain. The book goes on to describe the complex class system that was established to govern the French colony, where whites had full rights whereas the rights of mixed race people was dependent on the extent to which they were white. The book touched upon the two main personalities of the revolution, being Toussaint Louverture who established control during the early stages of revolution till his imprisonment and death followed by that of Jean Dessalines, who founded the new nation of Haiti, a first case of slaves overthrowing their colonial overlords. The book focused on the events well and also kept the interest by touching upon the acts of well-known personalities in the revolution, such as Napoleon. Additionally, the book also talked about brutalities from both sides, talking about how whites treated the slaves and also how Dessalines ordered the massacre of all the remaining whites in the island post his victory in the revolution. I had very little knowledge of the Haitian revolution barring the fact the flag of Haiti was stitched from the torn pieces of the French flag post their victory but this book managed to touch upon a lot of information in less than an hour, and thus, the book was quite effective. The book also managed to conclude well; giving insight into why Haiti is still poor despite centuries of independence; arising from the economic blockade and tribute imposed by France post their independence. The only aspect that I found to be lacking was France’s economic interests in Saint Domingue, being the coffee and sugar plantations, which was hardly mentioned. The book was a good read, considering, I had very little knowledge about the topic prior to reading the book. I would award the book a rating of eight on ten.